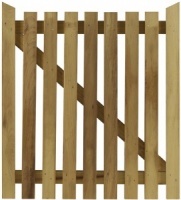 Every garden, whether front or rear, needs a gate for both access and security. 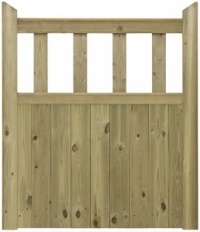 Our range includes short front gates and tall side entrance gates. 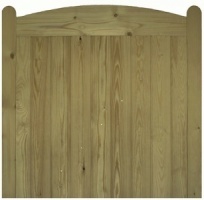 We stock close boarded to provide extra privacy and open slated for a more open feel. 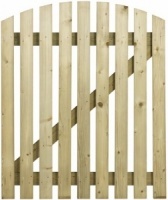 From traditional picket gates and matching picket panels to more decorative options such as the Reinas and Porto add class to any garden. 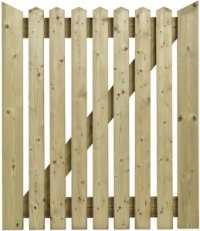 All of our gates are supplied pressure treated for extra durability. We also stock a full range of gate furniture, including hinges, latches, locks and closing springs to hang and operate your gate. 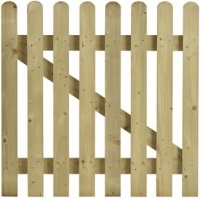 Call in to our branch to see our full range, with all gates in stock and available to take away.